Why Does This Nation of Immigrants Always Imprison ‘The Other’? Has the romanticization of American history allowed the resurgence of discriminatory practices in recent episodes of crisis? Over a decade has passed since the United States began its "Global War on Terror," a campaign of dragnet surveillance, mass incarceration, drone attacks on individuals overseas and numerous other actions, many illegal according to domestic and international law. These policies are all deemed necessary, of course, for the sake of national security. The United States has always been known as a “nation of immigrants,” a destination for the tired, the poor, the huddled masses to pursue the so-called American dream. But it has been repeatedly consumed by fear of the other. From the Native Americans to late nineteenth-century Chinese immigrants to the Central Americans crossing the Southern border today, there has been a longstanding aversion to and even hatred of ethnic and racial minorities. 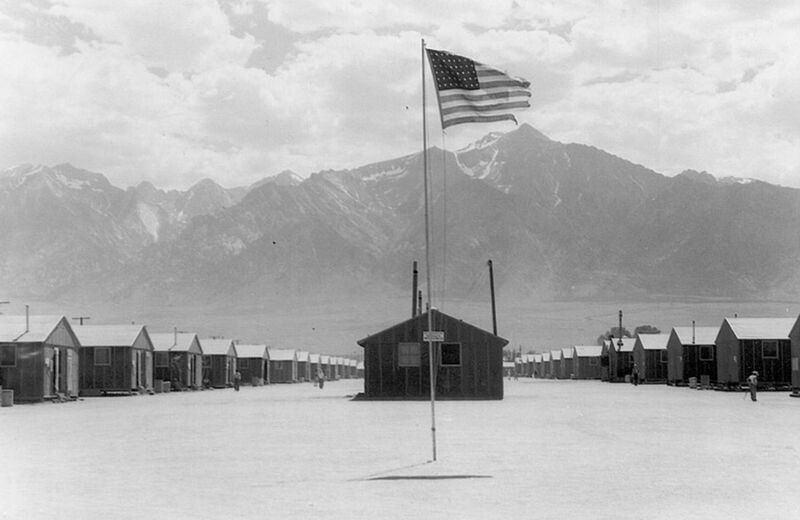 It was precisely this fear that led to the relocation of 112,000 Japanese living on the West Coast—at least 70,000 of which were American citizens—to military detention centers during the Second World War. On February 19, 1942, President Franklin Roosevelt signed Executive Order 9066, which mandated that thousands of people be rounded up, solely because of their race. Iglehart focused specifically on the government’s failure, in the evacuation orders, to distinguish between first-generation Japanese immigrants and their American-born children. This raises important questions about who can claim “Americanness” in a time of mass hysteria. While disapproving, Iglehart’s piece—like much of The Nation’s coverage of internment at the time—was not nearly as critical of Roosevelt’s order as it could have been. After taking a look at some of the reporting of the time, I wonder whether the country has learned from past mistakes—or has the romanticization of American history allowed the resurgence of discriminatory practices in more recent episodes of crisis? Not fifty years after the disaster that was Japanese internment, another minority group became the target of mass surveillance during the first Gulf War. Unfortunately, “deference to the military’s power” all too well explains why in 2014 it is no longer hard to determine whether the Supreme Court would recognize such a policy as unconstitutional. There are still 149 “high-profile” individuals detained in the extrajudicial prison at Guantánamo Bay. Erin CorbettErin Corbett is a freelance journalist covering politics, resistance, and gender. Follow her on Twitter @ErinACorbett.